Saying goodbye to a trusted hair stylist is like saying goodbye to a family member… alright maybe not really, but close! 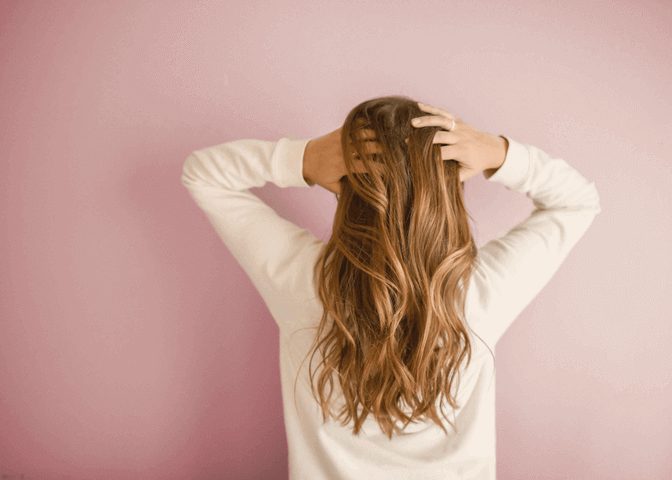 Hair types, products, colors, and popular cuts are not always the same from city to city, yet we feel we’re lucky to have found a few good salons with great stylists that still leave us with luscious locks we love. Walking into Scent and being welcomed by the friendly and smiling staff always makes us feel at ease. Depending on which location you’re at, you may run into a friend or neighbor to chat with during your treatment which makes it so much more fun! The environment is relaxed and well-designed with signature black leather seating and silver accenting throughout the salon. Treatments include Cut + Color, Blowouts, Styling and Hair Masks for your locks, Nail Services, body treatments such as Facial and Massages, Event Makeup, and hair removal including Threading and Waxing. Check out their retail section for Schwarzkopf, BC, and Moroccan Oil products. Scent offers some of the best pricing compared to similar salons and has amazing specials every Wednesday. Being at Blown feels more like being at some cool, industrial bar. And it almost is! Their very own F&B manager Meghna stocks this salon with quite the wine and cocktail menu. The reception desk doubles as a bar which displays a selection of wine and spirits. Sip on a glass of Ice Wine (!) or a Pitcher of Sangria all while getting your blowout done. A great place to see and be seen, this trendy salon is the ideal spot to get your hair done with some friends before a night on the town! 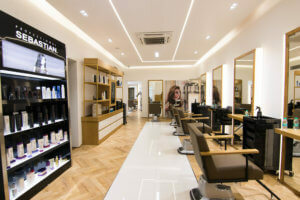 Services include cuts, hair treatments and blow drys using Sebastian or Balmain products as well as hair removal. 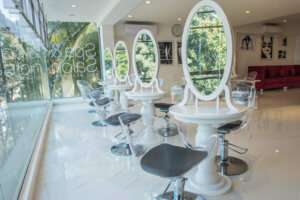 Getting our hair blown out and styled here is definitely a stand-out experience compared to other salons in Bangalore. VINE TIP: Check out their Instagram for some hair inspo including amazing updos and braids! The upscale Rossano Ferretti salon on the 5th floor of the Ritz-Carlton Hotel has long been recommended as one of the best salons in town and even a change in director has not affected that reputation. Although this salon may be on the pricier side, you can rest assured that you’re getting a cut from an Italian Art Director Jimmy Ambrosi who has worked around the world. The stylists here are used to working with International clients and familiar with all types of hair so you won’t need to worry. While you’re most likely to be the only customer in there, you will walk out with a great cut and color! 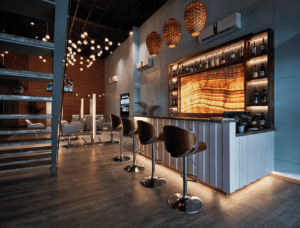 This chain of premium salons pride themselves on using high-quality products such as Kérastase, Thalgo, and L’Oreal which is certainly a treat in Bangalore. We love coming to Play for their large selection of hair treatments, or “Rituals” such as Scalp Care Rituals, Keratin Treatments, Bond Builders and Smoothening along with the usual cut, color, and styling. Each Play salon is well-decorated with large lux chairs and fittings, making for a great place to relax and get pampered. Toni & Guy has become a trusted salon known around the world in most of the cities we’ve lived in, so we were happy to discover that they were opening more branches in Bangalore. With London-trained stylists at every branch, visit Toni & Guy for Technical Color, Highlights, Color Toner, Keratin and Alchemy Treatments as well as Smoothening/Straightening. 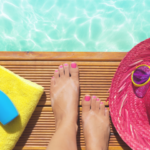 Choose from different level of stylists and check out their attractive membership offers which include paying a fixed amount for an unlimited number of treatments for one entire year! With their many clean and convenient locations throughout the city, this chain of salons is always a safe spot to run into for a Blowout, Style or Trim. As with most hair stylists, a recommendation from a friend is always useful before going in for a dramatic cut or color. 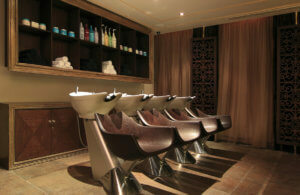 Products used in services include Moroccan Oil, Schwarzkopf, Wella and Bed Head (Tigi). 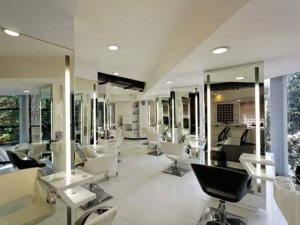 Step into one of their bright and well-lit salons for a bit of hair spa! What started exclusively as a skin care center, BodyCraft has evolved into hair services with over 10 locations throughout Bangalore. With budget-friendly pricing, this is the place to go to get your hair done without feeling guilty about the bill. Women’s Haircuts start at Rs.900 and with Blow Drys starting at just Rs. 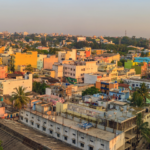 600 you may never wash your hair again (… until you leave India that is). 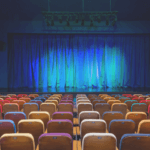 With a few convenient locations throughout the city, you may not have to travel far to find one close to you! 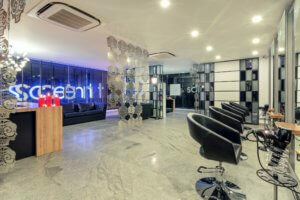 Gangnam Hair Salon is India’s first luxury Korean spa concept and definitely one worth visiting! You’ll feel a sense of calm just walking up the grass steps into the light wooden building with its minimal white design with soft brown tones, airy high white windows and stairs leading up to the spa rooms. We love the TVs above the reception playing K-Pop! Gangnam host a staff of Korean trained stylists who bring you cuts and styling unlike those you find in other salons around the city- think cool slanted cuts, edgy coloring and more!